You could imagine these divine crystal drop clip on earrings adorning the iconic 1940s and 1950s Starlets. Capturing the exquisite glamour of the 1940s, you would be forgiven for mistaking our Precious Fan Clip On Earrings for vintage treasures. With Old Hollywood elegance, this silver tone pair feature a pear cut cubic zirconia droplet suspended from a curved feather design encrusted with a myriad of petite clear crystals. Captivatingly beautiful, ladies without pierced ears will fall in love with the fabulous design of these clip earrings. Perfect for every occasion that needs a touch of sparkle, they adorn with a style that makes a refined statement. 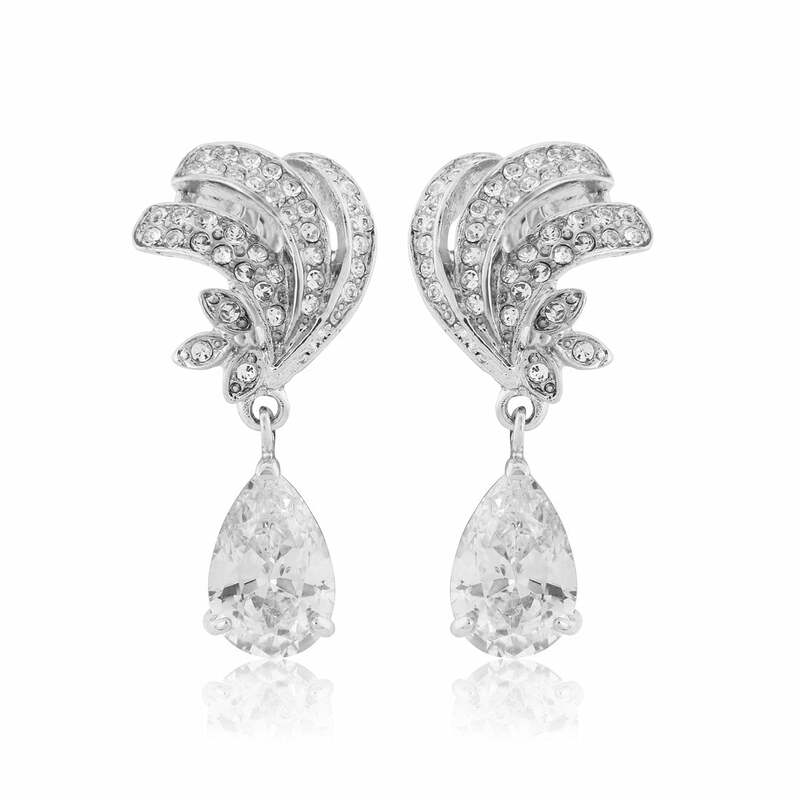 Brides who adore vintage jewellery from the iconic 1940s will adore Precious Fan Clip On Earrings. An elegant length, they look sensational with a graceful bridal up-do and, for added timeless glamour, look fabulous teamed with a sparkling crystal bracelet and bejewelled headpiece for classic movie star style.